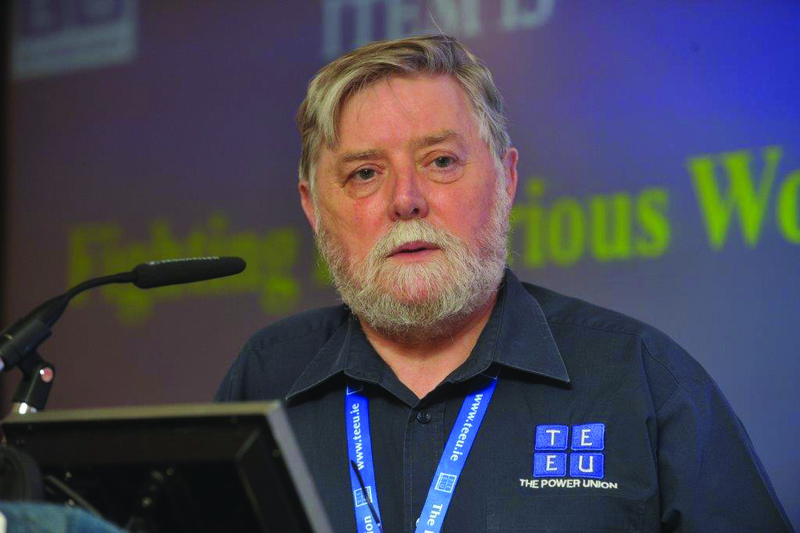 The General Secretary of the Technical Engineering and Electrical Union, Eamon Devoy, has welcomed the decision by UCATT’s 5,500 members in the Republic to merge with it through a transfer of engagements. Ninety per cent of UCATT members voted for the transfer. “This means that we will have a new, enlarged union of over 45,000 members and that will help us push for better pay and conditions across the economy, especially in construction”, Mr Devoy said. Mr Devoy added that no ballot of Connect Trade Union members is required as the merger is through a transfer of engagements between his union and UCATT, which is a British based union. UCATT currently has 120,000 members in Britain and Ireland. All 7,000 Irish members were balloted under UCATT rules but only the 5,500 based in the Republic will merge with the Connect Trade Union, which has over 40,000 members. The 1,500 UCATT members based in Northern Ireland will remain in that union. The UCATT membership in the Republic of Ireland mainly carpenters, painters and sheet metal workers number in excess of 5,000. “A decision on a new name and other changes in the constitution of the Connect Trade Union required to facilitate the transfer, will be a matter for the delegates at the Connect Trade Union biennial delegate conference in November following which the newly merged union will come into effect in January 2017”, Mr Devoy said. “This decision by UCATT members in Ireland represents a major adhesion of strength and bargaining power for craft workers and for construction workers in the Republic.